"Refuel" in uptown New Orleans introduced Donald and I to this wonderful concoction. 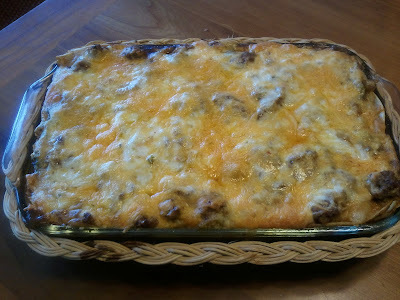 I searched several recipes online and reworked several to ultimately make my own version. We LOVE it. Hope you do too! The cheese choice is yours. Cheddar, pepper jack, or Queso fresco. A whole jalapeño is great, but the sliced, picked jalapeño will work well also. This makes such a nice presentation. The Barefoot Contessa comes through again. It's rich and decadent. Get out the forks! 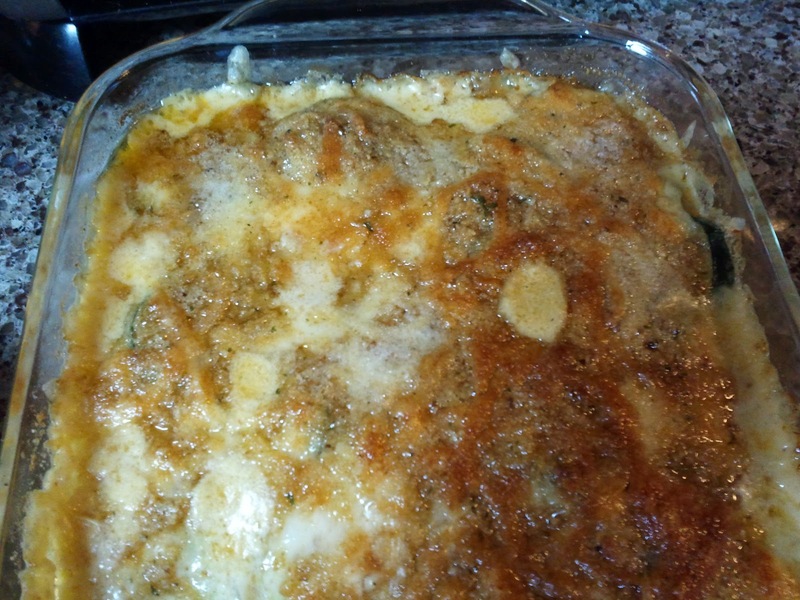 Squash can be substituted for zucchini in this recipe or use a combination of both. I heat the half and half in the microwave for 2 minutes. 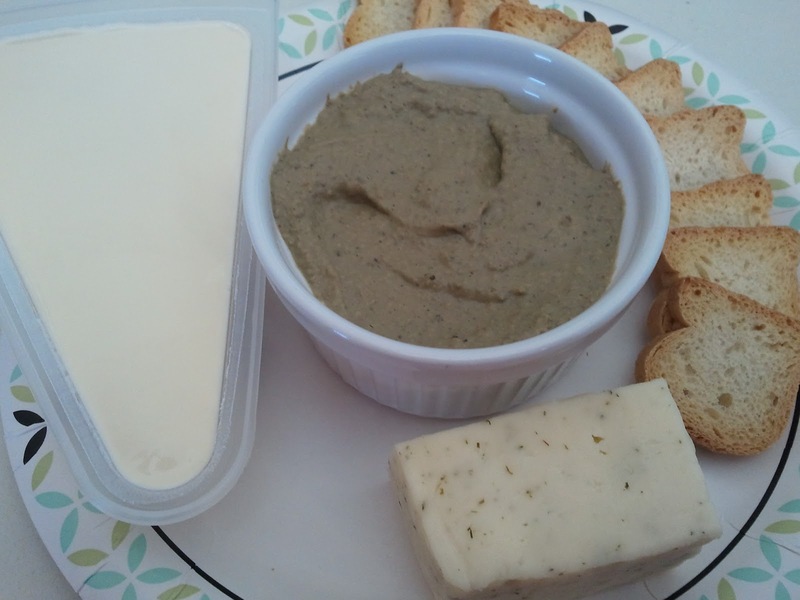 I treated myself to some homemade pate. The picture is from a lunch picnic at my desk! 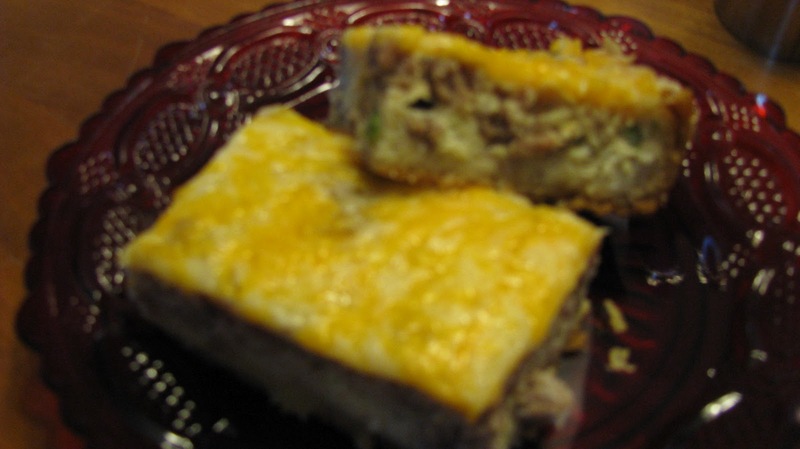 Pate is not a favorite of most people, but for those of us that like it, nothing can take it's place. I serve this pate with a baguette that has been sliced and a soft cheese like brie or havarti. I like the pate better when it is almost room temperature. 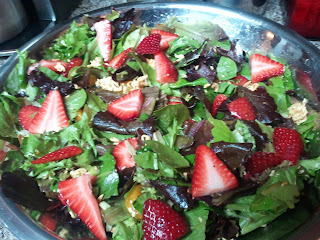 If you are serving this for guests I would recommend taking it out of the refrigerator at least an hour before serving. This is not a guilt-free recipe, but it does get some veggies in on the action. 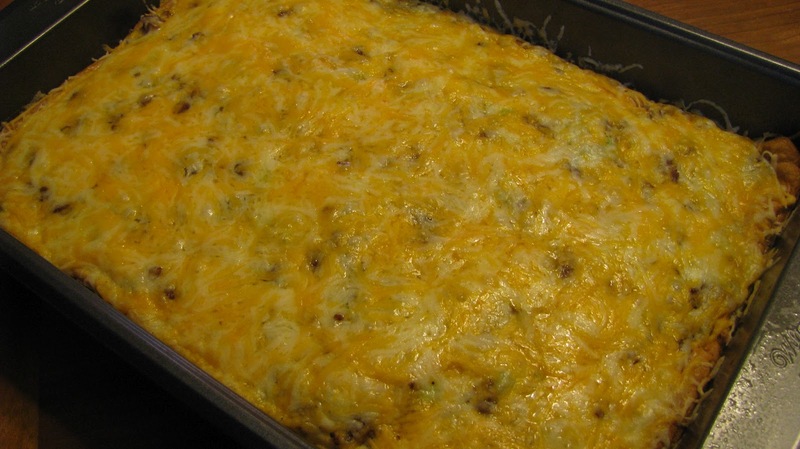 The meat is mixed with zucchini to create the filling for these enchiladas. It is so GOOD! I took this recipe from the Recipe Girl, thanks for trick! I call this Enchilada Casserole because MY enchiladas never stay round in the pan. They ALWAYS bust open! It all tastes the same, but they are NOT nice round enchiladas! The zucchini is such a great ingredient in this dish. Even if you don’t care for zucchini, I encourage you to try it. It makes a wonderful filling for the enchiladas. Follow my link to make your own homemade enchilada sauce! It's so much better than the can. 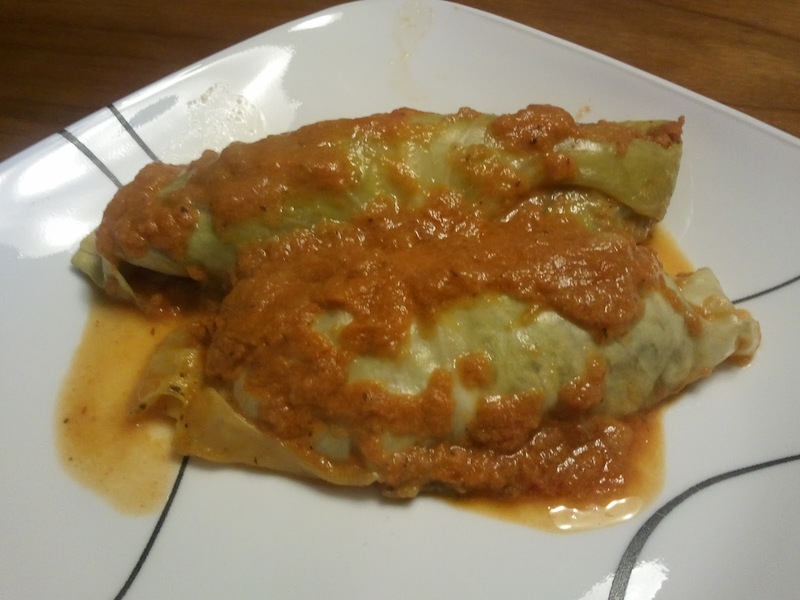 Why use canned enchilada sauce, when you can make your own that tastes so much better. 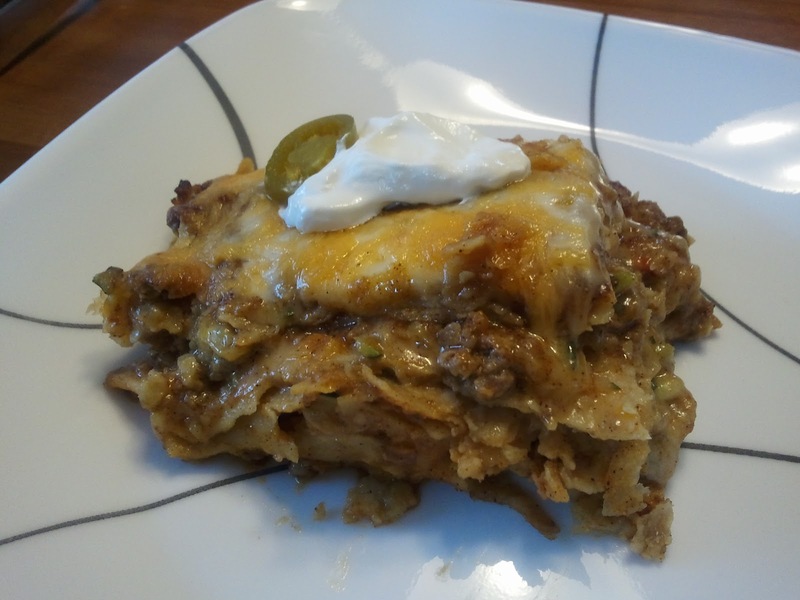 It is a easy recipe, so get ready to make some enchiladas! 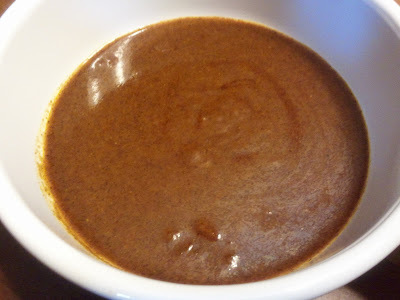 This sauce can be made ahead of time and kept in the refrigerator for 3 – 5 days. You can also freeze this sauce. 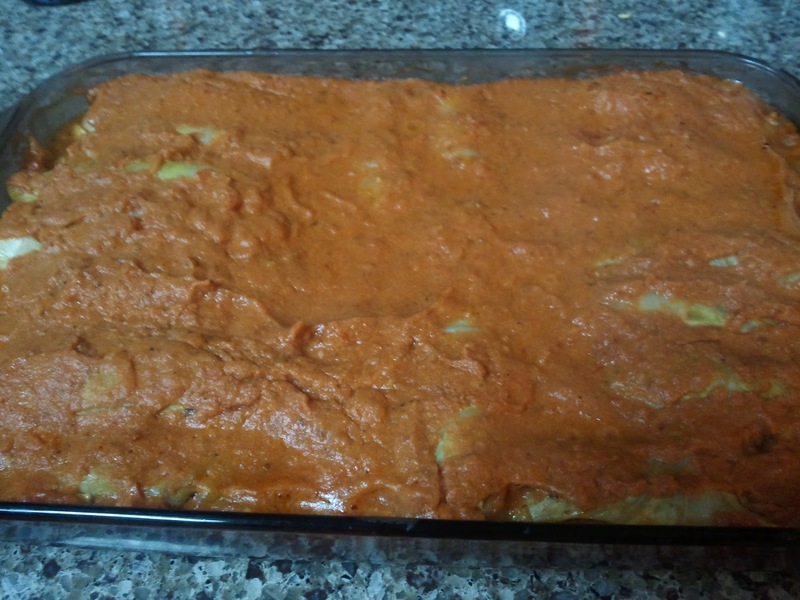 This makes about 2 ½ C. of enchilada sauce which is what you need to make enchiladas. My sister-in-law, Donna made this for our family on Christmas Eve and we devoured it. It makes a beautiful presentation and can be served as an appetizer with crackers or as an entree in slices. Put a cookie sheet under the springform pan while baking. You don’t want to deal with the mess I had in my oven after baking this cheesecake! I use a 1 lb. container of Creole seasoning from the produce section to speed up this recipe. Creole seasoning generally has onions, green peppers, celery, garlic, and parsley. The celery and parsley added does really change the taste of this recipe. 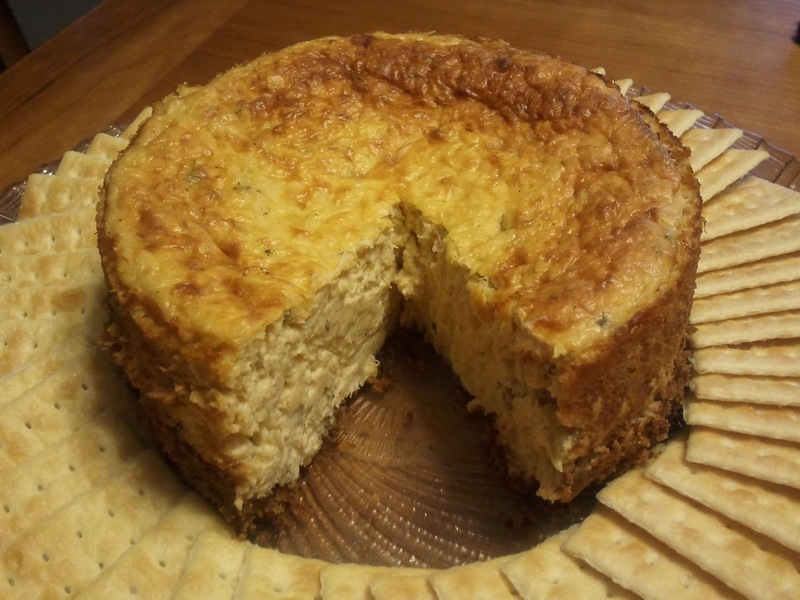 This recipe makes a big cheesecake. I bought 2 (6 in.) springform pans and make two smaller cheesecakes with this same recipe. This is a great breakfast when you have overnight guest to feed. It's quick and easy and feeds 8 people (2 servings each). My friend Karen shared this recipe with me. 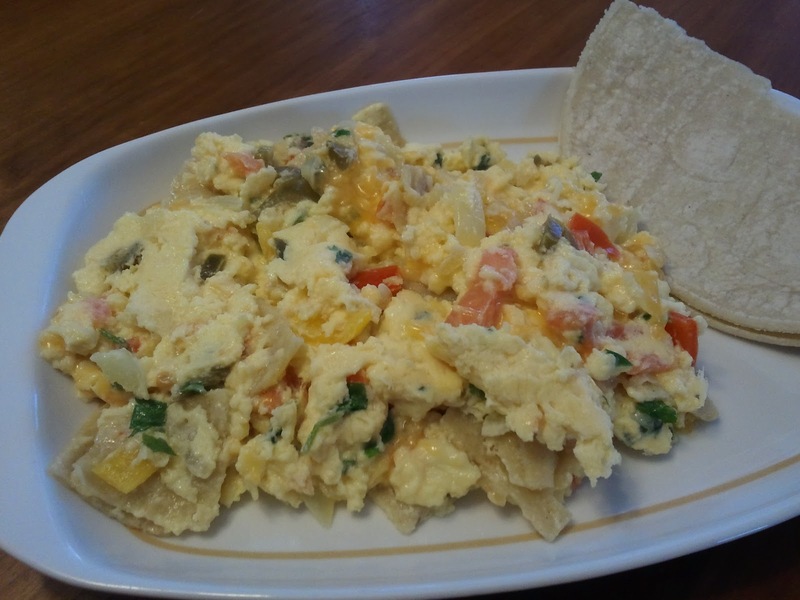 I use an immersion blender to scramble the eggs with the sour cream. They are light and fluffy this way. I cut the breakfast pizza into 16 pieces. 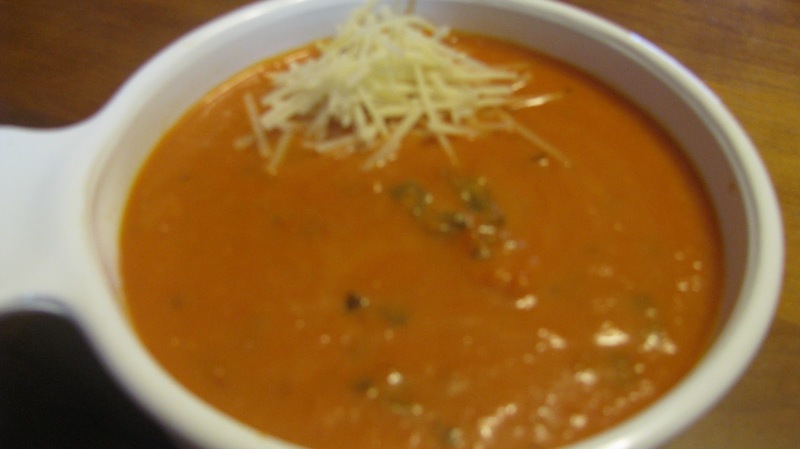 Don't you love that "Tomato Basil Soup" at La Madeleine? I do and this is a "Copy Cat" recipe. Easy to make and delicious! Enjoy! I use canned tomatoes for this recipe, but fresh tomatoes can be used. Peel the tomatoes first before crushing them. When chopping the basil, stack the basil leaves one on top of another and then roll the leaves into a tube. Slice into thin ribbons. This soup is great with a grilled cheese sandwich. I make a Grilled Pimento Cheese Sandwich. Follow my link to see how I make mine.